Our original formulation, suspended in MCT oil to enhance bio-availability. 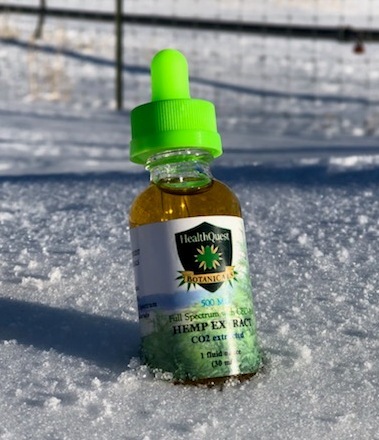 Extracted from the select strains of hemp grown here on our farm, this oil contains a broad array of beneficial phytocannabinoids which includes very high percentages of CBD-A and CBD, along with CBC, CBG, CBG-A, CBD-V and naturally occurring flavonoids and terpenes. Available in concentrations from 500 mg. to 3000 mg. full-spectrum extract.